There are plenty of daily activities at Halstead Day Centre, all aiming to keep members active whilst offering a chance to socialise. We offer our members a range of services to help with daily activities such as shopping and the opportunity to bathe with dignity. If you would like to join our team please contact Veronica Harman. We always appreciate puzzle and book donations. Please drop these off at the centre. We offer a friendly environment for people to socialise and be included in a range of low intensity services that reduce isolation and encourage activities that promote, physical, mental and emotional well-being while maintaining a degree of independence in their own home for longer. Our catchment area is Halstead and approximately 16 surrounding villages. Our services include transport, daily movement to music classes, shopping, bathing, board & card games, debates, speakers, bingo, craft and a two course lunch and beverages during the day. 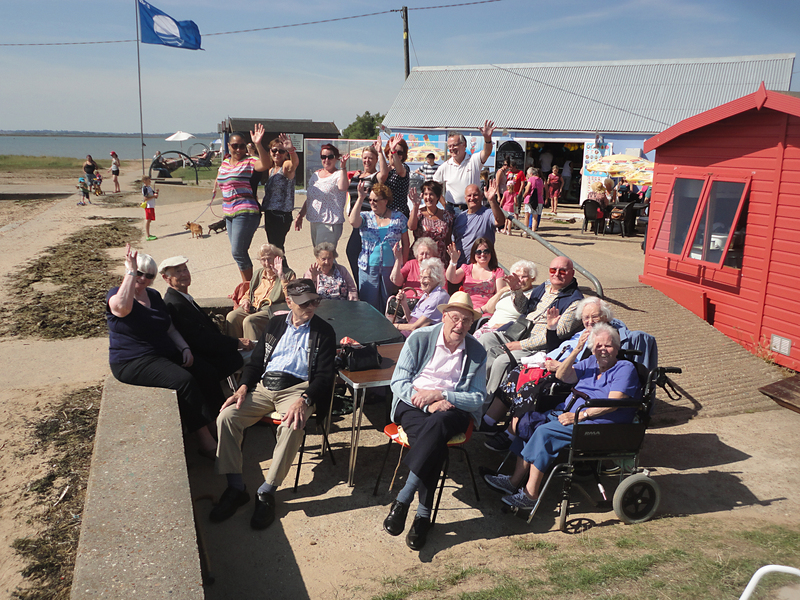 The Day Centre also provides twice yearly trips to our own beach hut in Brightlingsea. We have seven full time and one part time employees. The Centre provides volunteering opportunities and currently we have a team of 30 volunteers. All our care staff are NVQ qualified in Social Care and volunteers can undertake any training required. Transport is provided to and from your home by drivers who are Midas trained, to ensure your safety and comfort.